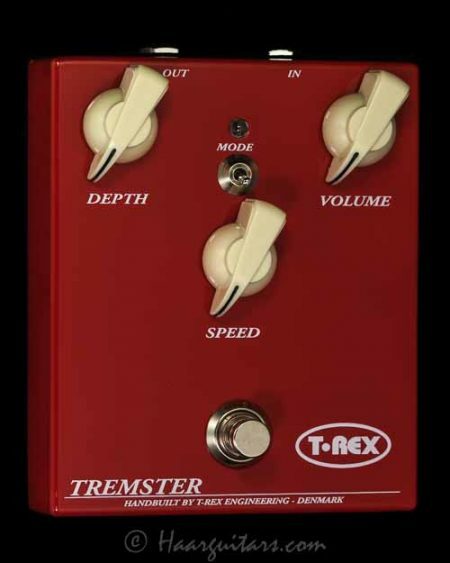 The Tremster´s strength lies in the way the effect is modulated. In simple terms, it means that the waveform used to turn the volume up and down (creating the tremolo effect) is a bit special. Instead of a sinus wave or a triangular wave, the Tremster´s waveform is quite soft around the peaks, but otherwise relatively abrupt. 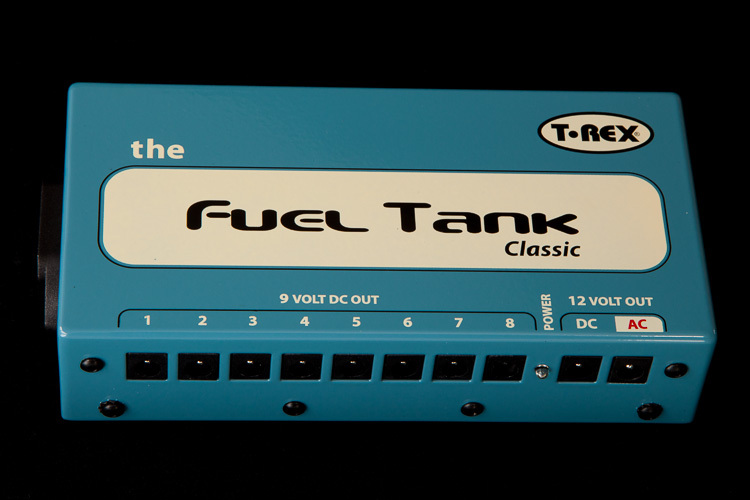 This creates a very nonobtrusive effect, that melts in with your playing – even at maximum depth. 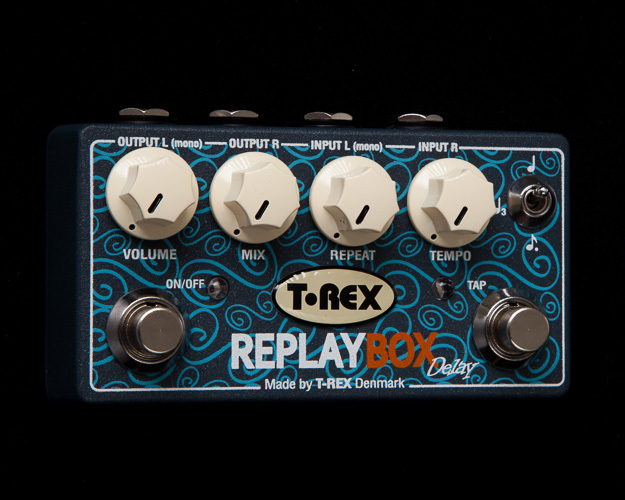 It´s like it just breathes in a calm way, instead of sounding like your playing is hyperventilating, so you can use MORE tremolo without losing anything, much like tube tremolos on older amps. Add to that a pulsating led for visual indication of the speed, true bypass and a mode switch for less/more throb and you have a really nice and simple box that does what it should do, does it in a very musical way and with no hassle. It´s three knobs, all analog stuff, but the sound is what you pay for. Truthfully, we are bringing back the Tremster due to years of comments on its sound “Hey, can I still get the old red one from you? I miss it ”. Well, yes you can.